Helpful Advice for the maintenance of your Teak Deck. 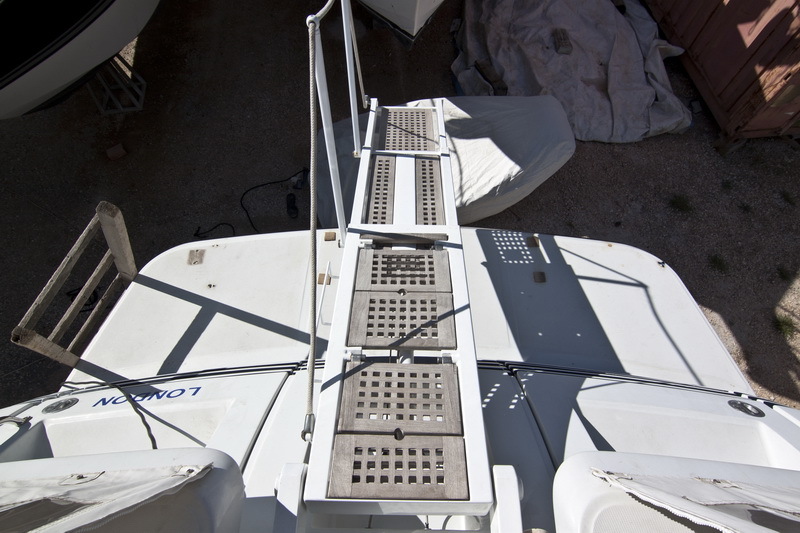 In case your vessel’s deck is in very good condition or new, it should be cleaned with a typical soap and a sponge or a soft broom. The use of a pressure cleaner is highly prohibitive because it causes damages to the soft particles of the wood, but mostly to the rubber joints. If you wish to restore the natural colour of your deck from its current silver-grey colour, you should use special soaps, the teak cleaners, and let them dry; afterwards, you apply a colourless teak oil (Bondeux teak oil clear) during hours of not strong sunlight. In case your deck is worn with layered lines on the wood and cannot be restored to its initial form with a teak cleaner, you should contact with someone who is specialised to teak deck constructions. How to apply teak oil: You need a brush, gloves and a cloth. You apply the teak oil using the brush per square metre, you leave it on for a while (as long as it takes) in order to be absorbed into the wood; and then you sweep out with the cloth the extra amount of the remaining oil mostly on the joints, since it cannot be absorbed from the rubber.